Over the last few years, semi truck drivers and manufacturers have been under a lot of heat from the government. In fact, the Department of Energy has even gone as far as demanding that there must be an improvement in “semi-truck fuel economy by at least 50 percent.” Sounds like a lot, right? 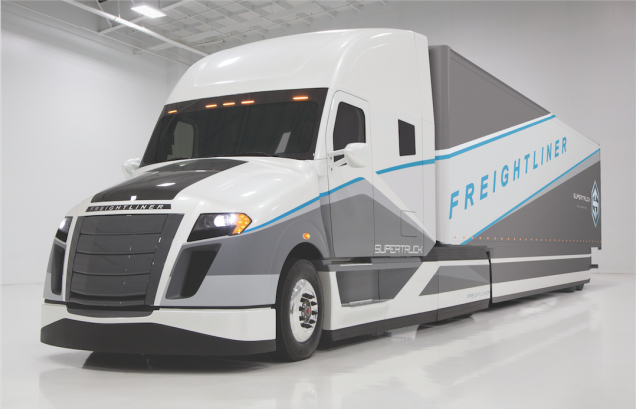 Well, after investing upwards of $115 million in development, Daimler has just torn that vision to shreds with their new Freightliner SuperTruck. Why do I say that? Because this new truck has actually made an improvement of nearly 115 percent when compared to the average big rig! That’s right; in a recent test, the SuperTruck managed to snag an impressive 12.2 MPG on a 312 mile road test while hauling a MASSIVE 65,000 pound load. The truck was able to perform at this high-level because of an all-new hybrid powertrain setup. A hybrid on a semi??? That might sound strange, but that’s exactly what Daimler developed. Underneath the hood of their SuperTruck, you will actually find an 11-liter diesel engine that is paired with an electric motor that allows most accessories to run off of a battery– helping to decrease drag. 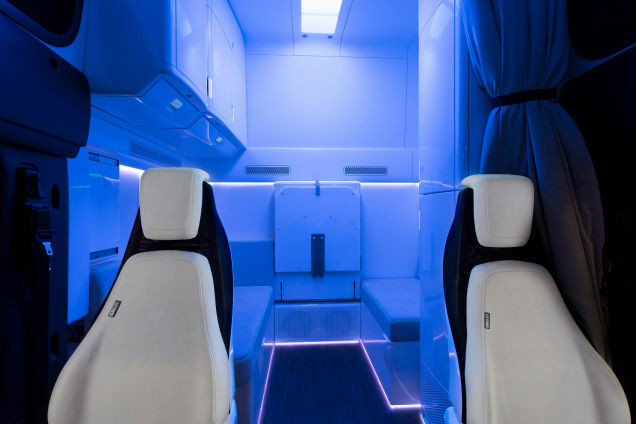 Adding to the impressive design is the truck’s transmission, which is linked up with a navigation system that “plans shifts ahead of changes in terrain” to help maximize coasting opportunities and minimize throttle input. Amazingly, that’s not all this truck has, either. The ride also features solar panels on the trailer to help power the cargo’s climate control system. What a genius, simple idea, right? It makes me wonder why nobody else has implemented it yet. 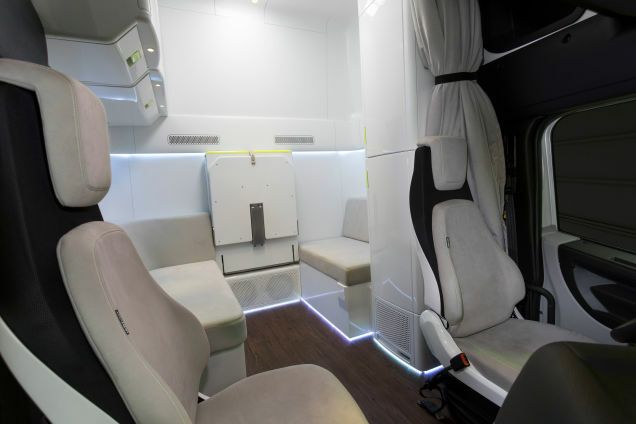 According to Daimler, this new big rig will be able to save drivers an estimated 10,000 gallons of diesel per year. So, even if this truck was say $100,000 more expensive, drivers would make that money back within 3 years because they would be saving $36,000 in gas money annually! This entry was posted in Culture, Trucks & SUVs and tagged daimler, department of energy, Freightliner SuperTruck, semi truck, SuperTruck. Bookmark the permalink.